Public and private schools and universities have been the early adopters of solar energy. Facing the same challenges as municipalities, industrial and commercial facilities, these institutions are looking for results-driven solutions that deliver measurable results to the bottom line. Beaumont Solar’s thought leadership in the solar power arena has made our company a natural fit for projects based in educational institutions. Cost containment, sustainability and innovation are a three-pronged benefit of using solar in the educational sector. Educational facilities are of varying ages, roof types, and structure. They are some of the oldest facilities in the country, making innovative power solutions key to cost containment. Beaumont Solar stands ready to help with educational power needs. Our in-house professional engineers are widely experienced in all facets of construction. They understand the engineering of these facilities and implement superior performing solar energy solutions through extensive knowledge of the latest in system innovation. We perform a detailed energy usage analysis and combine that with not only facts about your property’s physical structure, but also your long-term goals. The Beaumont Solar team engineers, designs and implements the most feasible, cost-effective solution specifically for you. 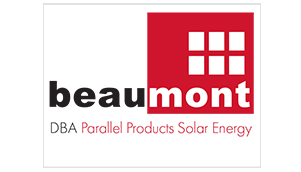 Beaumont Solar continuously provides sustainable solutions to educational facilities through various financial options including power purchase agreement (PPA) models. The result is a technologically advanced system with zero expense to your capital budget while you enjoy dependable, fixed-rate solar power for less than any other energy source available. Beyond solar implementation, the Beaumont Solar company-wide commitment to education extends direct to the classroom. Our chief executives and staff work with multiple educational facilities as industry partners and mentors, helping to develop renewable energy curriculums, and assisting our educational partners in obtaining grants for their renewable energy education programs.